Going Grey and Slightly Green: Finally...we have lard! At long last I have ticked another box on my 'To Do One Day' list! 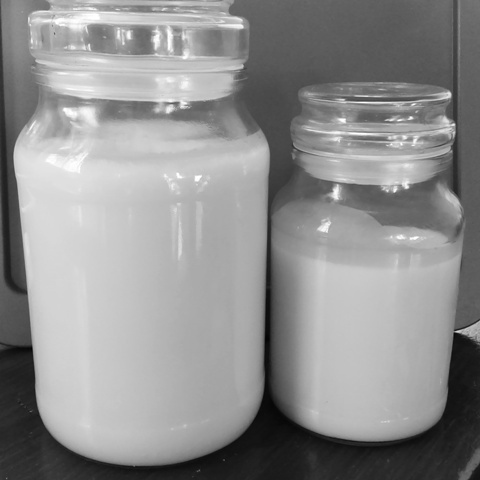 I have been wanting to render lard or tallow for ages and reading the new eBook from Farmer Liz gave me the motivation I needed to finally give it a try. 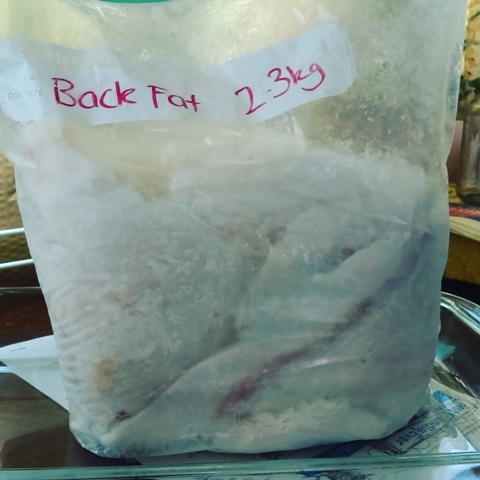 So I started off with 2.3kg back fat from a pig which I thawed as it had been in the freezer. I was told that it was easier to cut up if it was cold so as soon as it had thawed I started cutting it up into small pieces after removing the pink bits first. That took a while but eventually it was all done and it went into the slow cooker at 7am. Some bloggers said to turn it onto low and some said high so I started off with low. I had heard that it would be a bit smelly but not as bad as beef or mutton fat but just in case I had the slow cooker sitting beside an open window. This was how it looked at 4pm. Ho hum! This was going to take a long time by the looks of it. As I hadn't rendered pig fat before I didn't realise that there were supposed to be 'bits and pieces' left after cooking all day so at around 5pm I turned the cooker up to high as I thought I was going to be up till midnight waiting for the process to be over. By 7.30pm I was over it so decided to just strain out the 'bits and pieces' and count my losses if I had to throw out the hard bits. I found out the next day that the hard bits were connective tissue. Duh, silly me but now I know! Nanna Chel, your lard is beautiful. As a child growing up this was a yearly task when we butchered hogs. We would do up enough lard to last until the next year when it was time to do the butchering again. Your post brought back some beautiful memories ... and it reminds me that I need to find some pork fat to make some lard for my pantry now! Thanks Patsy. I think I will use some in the kitchen as well as for soap. I have never cooked with it before. What an interesting post Chel. I've never used lard and don't know much about it.Your soap making will really take off now. Good luck. Thanks Pauline. It is quite interesting reading about lard and tallow and many people seem to cook with it as well. That would be right up your alley as you are such a good cook. Both of my grandmas rendered lard the day after we would butcher a hog or a steer. The best part was the little pieces of meat that were left on the fat the "cracklins" that would end up deep fried during the process. Good memories!! PS-Lard makes the flakiest pie crusts of any shortening! I hope so, Liz. Thanks for all the information you gave in your eBook. Congratulations on your follow through. So many of us, have a list of things we desire to try, but don't follow through on. ;) I look forward to seeing the soap you make, and if you think it feels different. I buy Farmer's Liz's tallow based soaps, and the feel great. Chris at my age I figure if I don't tick off what is on my 'To Do' list I may never get the chance to do it. LOL! Well done, my pig fat is still in the freezer, waiting for the day. Tallow makes the best soap in my opinion, so I hope lard does as well. Go on Deb, get it out of the freezer :-) The process wasn't as bad as I expected. Sue my mum always collected the fat into a container to use in cooking. Having lived through two world wars she learned to not waste anything...just like your mum. You are so weird. Just saying. I must say Nanna Chel, you are a goer, most people have ideas of things they want to try, but you're actually in there doing it and good on you for having a go. 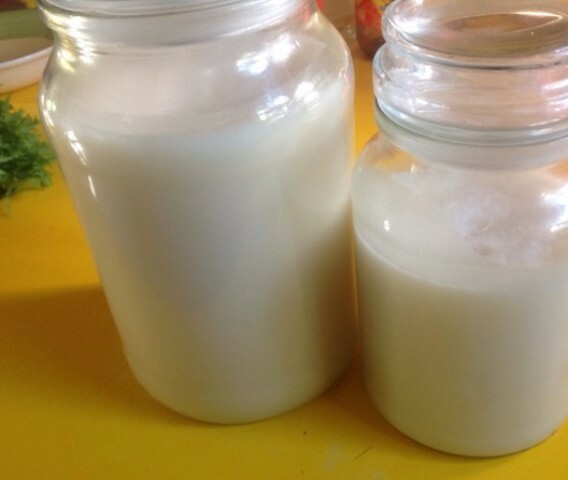 I think your lard looks great & hopefully it will make beautiful soap. Karen I made the soap this morning and had a few hiccups along the way as I wanted to try out a couple of clays I bought recently. Oops I think I added too much of the red one and that lot of soap looks more like chocolate. LOL! That looks like an interesting process to try. I have read about on the web the old pears soap used tallow in their original recipe but have now since changed it. The lard soap should be interesting to see when you make up a batch. I have unmoulded the soap, Shiralee. It looks good although a tad soft as I never have the patience to leave it alone till it is harder. Your lard looks fantastic. I have rendered it once before (I need to do it again) and I did it in the crockpot. I had the same reaction with all of the remaining chunks and thought I had done something wrong, as it was taking ages. I just ladled out what I could and called it a night. But it turned out SO good! Yes, it does make the best pie crusts, biscuits (scones), and especially tortillas. There is no comparison to the flakiness and flavor it gives! I hope you have success with it in your soapmaking! Kelsey, I am glad I wasn't the only one who didn't know about the bits and pieces that would be left over. LOL! I probably should have kept them but thought they were rubbish so put them in the compost. Oops! Nice job! Beef tallow makes the nicest hardest long-lasting soap.